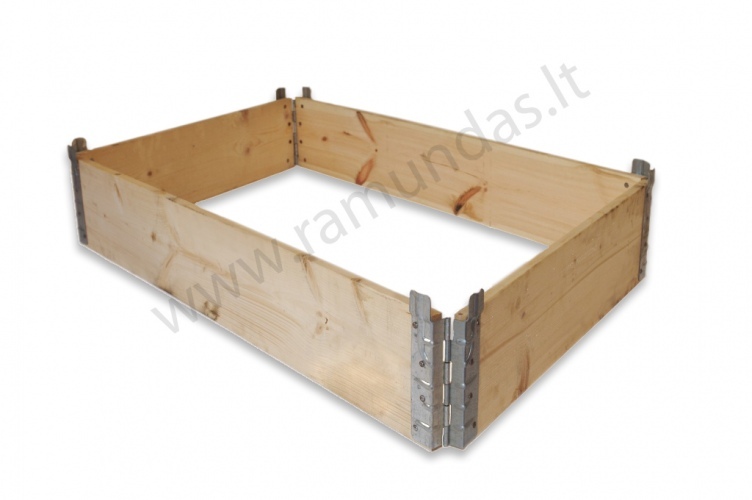 Pallet collars are cheap alternative of metal containers. They are easy to transport without loads because collars can be folded, durable, produced from first choice conifer wood, if demanded mixed wood can be used. That’s why pallets can be used up to 15 years. Pallet collars are Heat Treated according ISPM15/IPPC requirements, kiln dried if needed.